Retinol is a form of Vitamin A that – following topical application to the skin – is converted by the body into Retinoic Acid, which helps to prevent the breakdown of existing collagen in the body, as well as helping to stimulate new collagen production and increasing skin cell turnover. These properties can help to tackle the physical signs of ageing, from fine lines and wrinkles, to dull and lacklustre texture and tone, as well as helping to improve skin elasticity and tightness. Generally, products containing Retinol or other retinoids can cause some irritation to the skin when first used, and as the best results are generally seen after prolonged use over a period of time (gradually and carefully building up skin’s tolerance to the product) often people are ‘put off’ by the initial irritation and choose not to persevere with the product. However, the protein rich serum of Retriderm – a product that we are proud to stock here at Younger U Aesthetics – helps the Retinol in the product to get to work effectively whilst minimising irritation. As well as the skin regenerating properties of Retinol, Retriderm contains hydration boosting hyaluronic acid and effective anti-oxidant protection with added Vitamin E, creating an intensive and effective regenerative serum that has been clinically proven to deliver visible anti-ageing results in as little as 8 weeks. 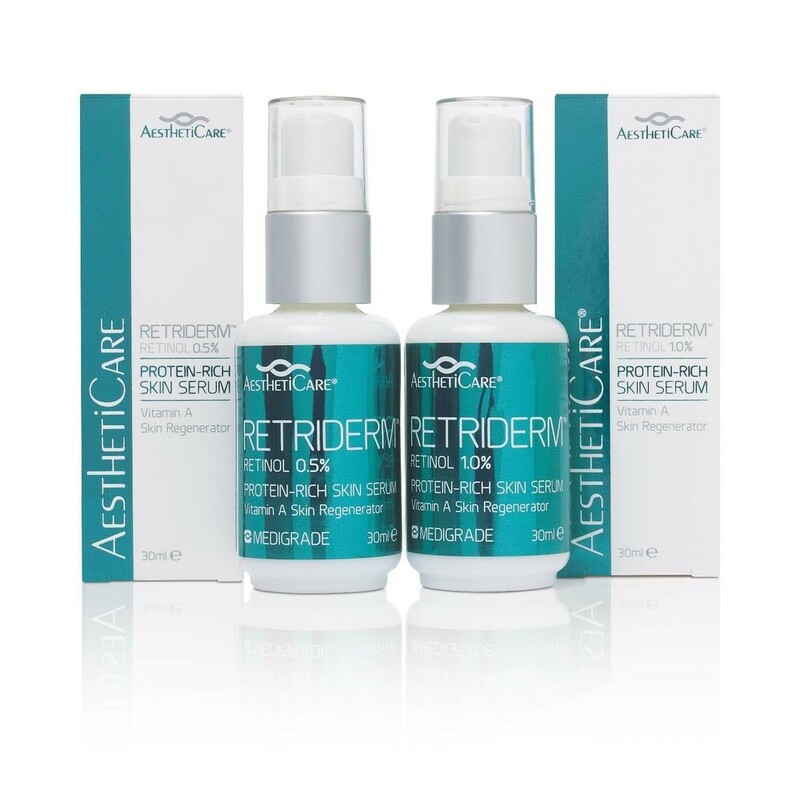 For more information about Retriderm, and to find out whether this would be a suitable product for your unique skincare requirements, contact Younger U Aesthetics today!